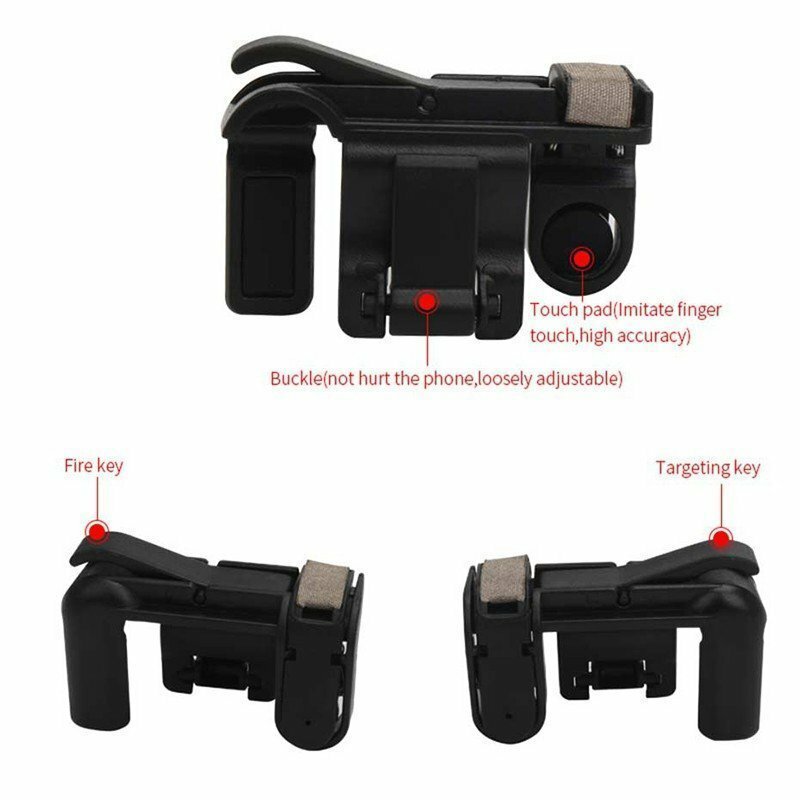 FIRE and AIM buttons through a trigger mounted on the side of your phone. It works to help you aim at enemy and fire quickly. You can shoot very easily! Easy to wear and easy to remove also u can bring it anywhere. Very useful tool to play shooting game. Easy to control and install. Winner winner chicken dinner. Easier to play and it is easy to set up. 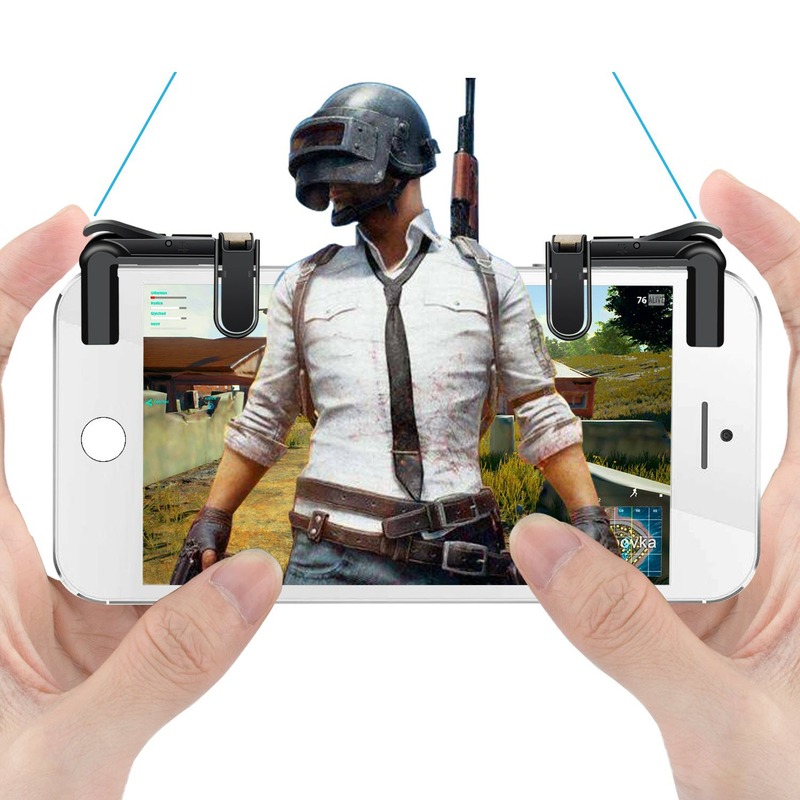 This mobile gamepad uses the touch capable pads with triggers. 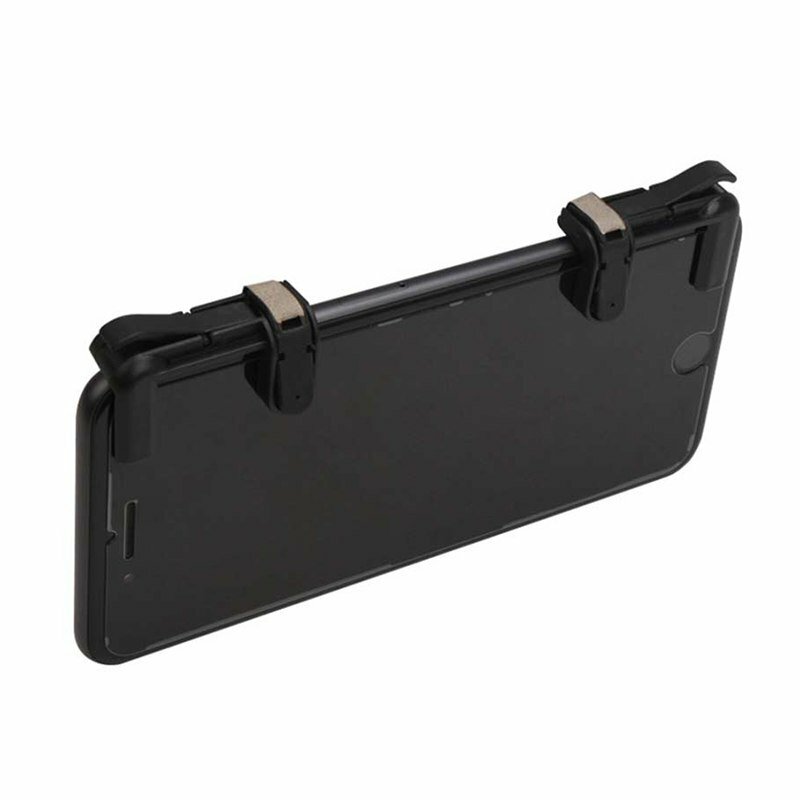 Actually it is utilize the FIRE and AIM buttons through a trigger mounted on the side of your phone. And it works to help you aim at enemy and fire quickly. So interesting. Move the “FIRE” button to the top of left corner Corresponding knocking position. Move the “AIM” button to the top of right corner Corresponding knocking position.